Based on none of my actual real life dating experiences, (Hi, Nicole, sweety!) 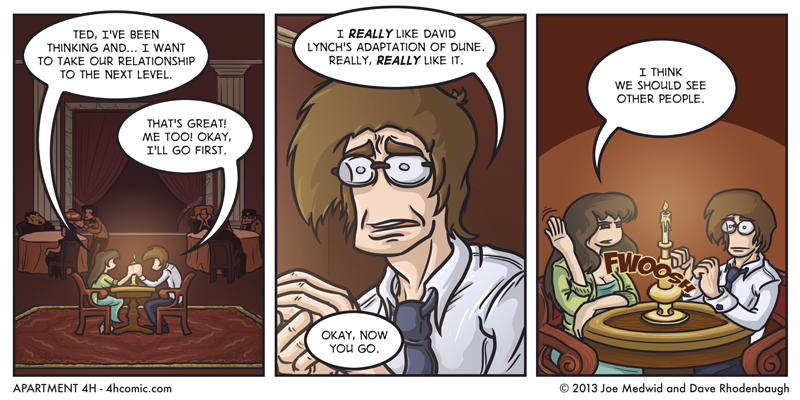 let this strip stand as a monument to going too far too fast. Easy there, Ted. Easy. You don’t bring up THAT one until you’ve been married for twenty years, if ever. Mad props to Charles, who inspired this strip based on his real life experiences. And mad condolences to Charles, for those same real life experiences.